Virtual tour copyright Michael Cottam. Exterior logs hand-sanded, stained, and clear-coated in summer 2017. Siding and trim painted at the same time. 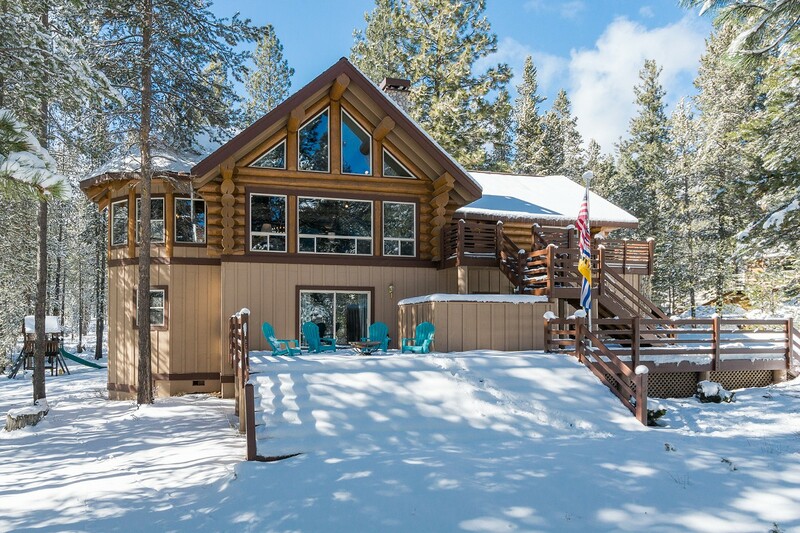 Gorgeous Engelman-Spruce custom Sunriver area log home on 1 forested acre lot, backing on National Forest land! Stunning great room, kitchen, dining room & rec room, 4+ car garage, floor to ceiling river rock fireplace, loft, Vermont Casting wood stove in rec room. New granite kitchen counters, logs sanded & re-stained and decks & siding painted summer 2017. Bendpak lift in garage can stay or go. 20kw propane-powered generator switches house power over automatically after 10 seconds of power outage. 120 gallon propane tank.